The draw reins help guide the horse's head when it is being worked. They prevent the head/neck angle from being too open by directly acting on the horse's mouth. 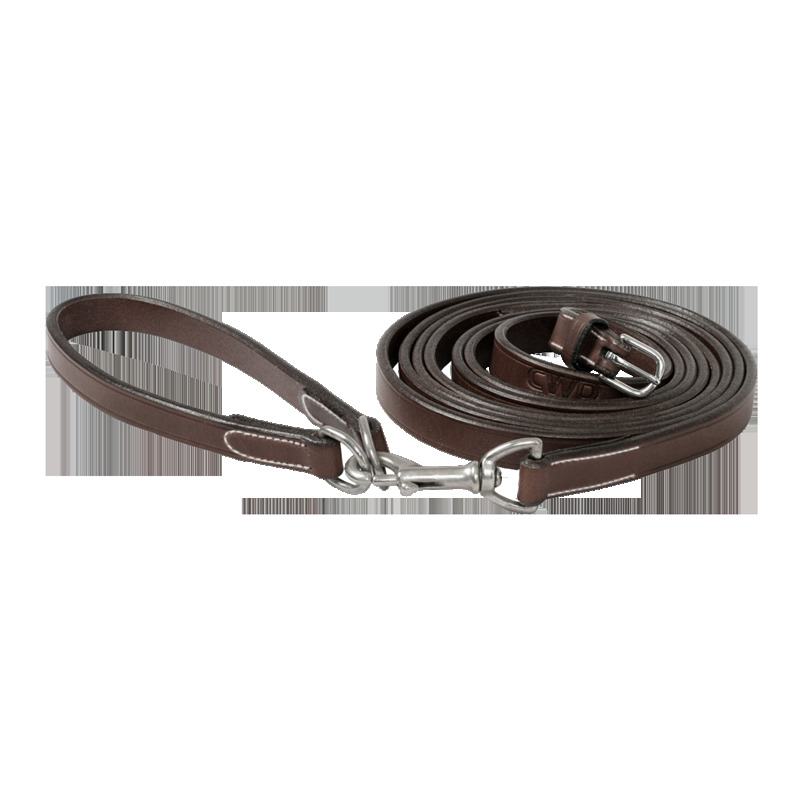 The anatomical snaffle bridle with Mexican noseband combines comfort and ergonomics. The anatomically shaped headpiece with memory-form foam reduces pressure over the neck. Its particular feature? A noseband with jaw and chin fastenings. The Howlet training aid helps to put the horse on the bit and bring the its head down, whilst riding with only one pair of reins. The system is based on a pulley which maintains constant tension on both sides. The rope draw reins help guide the horse's head when it is being worked. They prevent the head/neck angle from being too open by directly acting on the horse's mouth. The leather reins with loops are a training tool which improve hand position due to the loops. The double layer of leather ensures the reins are stronger. XL = 22.8inch < 26,6inch.